This special collection of 6 ‘Kohiki’ style Matcha Chawan (tea bowls) has been made especially for Koto Tea by artisan Kouichi Osada. Kouichi Osada is a ceramic artist from the Hiroshima area of Japan. After undergoing an intensive apprenticeship under a number of masters, and learning a range of skills and techniques, he opened his own ‘Chifulgama’ kiln in 2013. 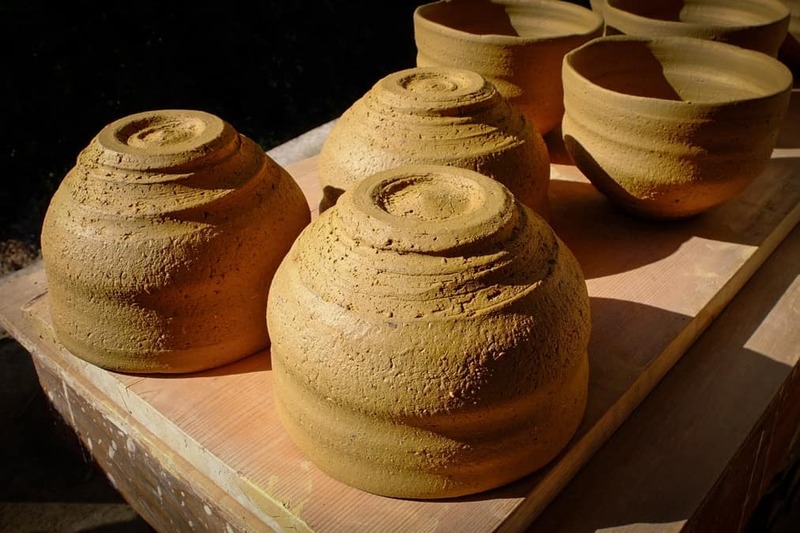 He makes primarily ash glaze and ‘Kohiki’ pottery using a uniquely thick-walled kerosine kiln that encourages ‘yohen’ kiln effects. He uses natural materials like ‘yamatsuchi’ clay, feldspar, plant and wood ash, and more, which results in an organic, textured finish to his pottery. The Chawan he produced especially for Koto Tea are glazed with a rare stone that can no longer be mined for. The techniques used to produce their unique colours were refined over a 2 year process that took 60 iterations to perfect. Osada-san first purifies the clay, then leaves to rest for a week. 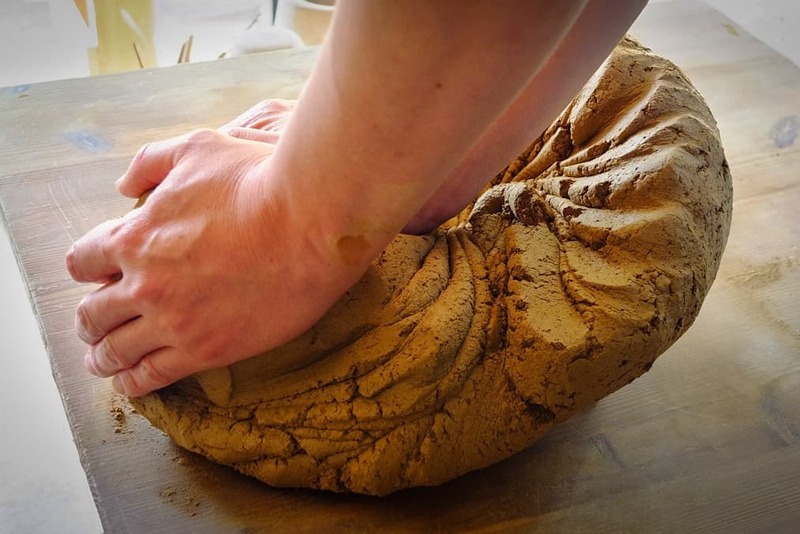 The clay is then kneaded by hand to mix air into the clay, and to balance and even out the texture. He shapes by hand as much as possible, avoiding wooden utensils, in order to produce natural and organic forms and characteristics. While the clay is only half dried, he shapes the base using a tool called a ‘Kanna’ or small plane. 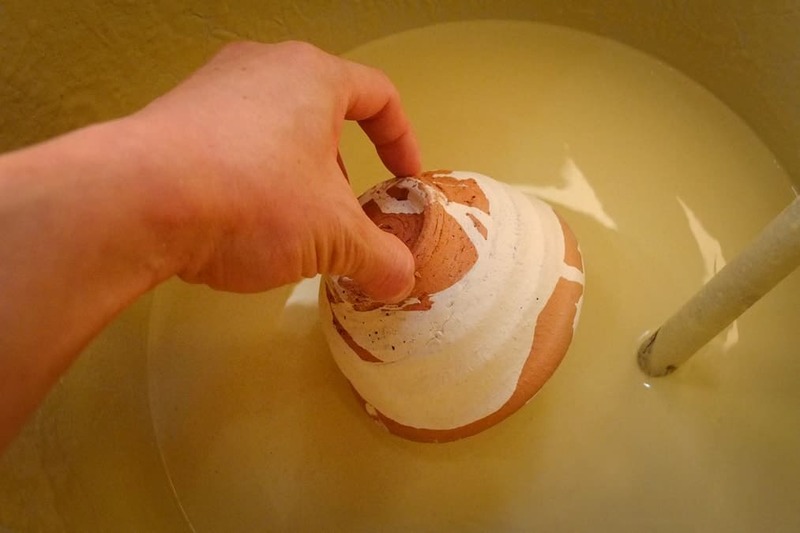 This has to be done precisely, as a false move can ruin the bowl. Next, an engobe (white clay slip) is painted on the raw clay surface, before a glaze is applied. 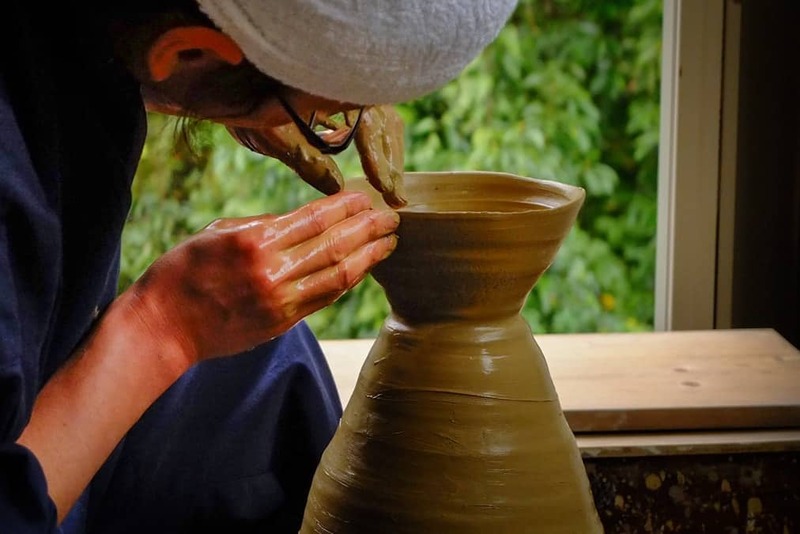 This is an ancient technique used by potters that were inspired by white porcelain. 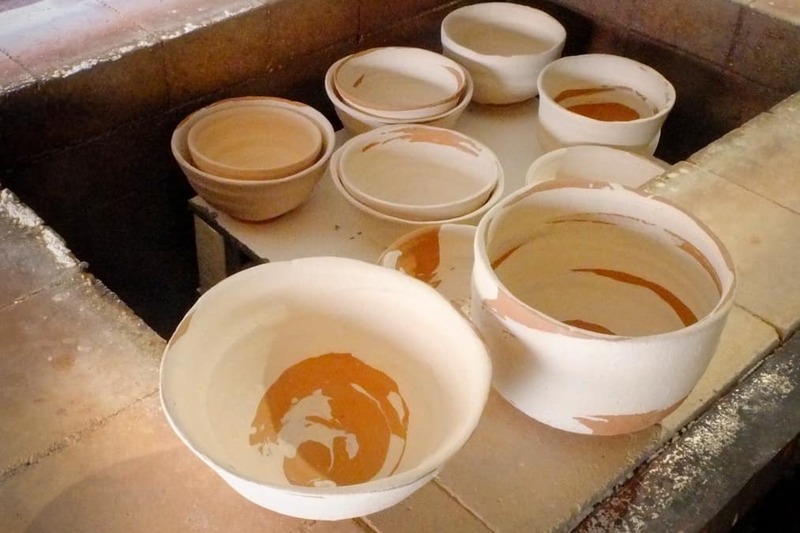 The bowls are then baked at 600°C to embed the engobe into the clay. Next the glaze is applied. His glazes have been refined over a two year process, and include rare stones that can no longer be mined for. Depending on the process in which they are applied and fired, they result in 3 different unique colours. The bowls are then fired in his own custom thick walled kiln at 1230°C for 18 hours. The bowls are then cooled for a further 18 hours. 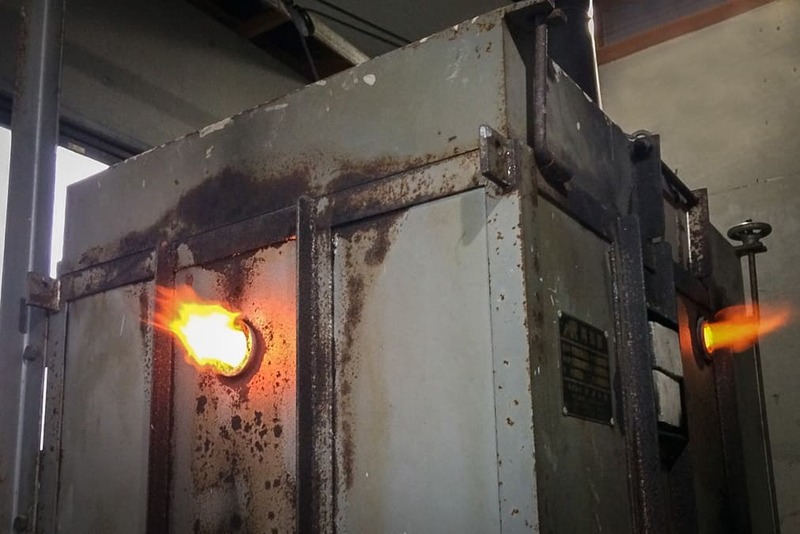 The firing process is the most important in determining the final result. These one of a kind ‘Kohiki’ style Chawan are made using an ancient technique where an engobe (white clay slip) is painted on the raw clay surface, before a glaze is applied. It leads to a gentle white colour that is prone to changing colour and texture over time with use. 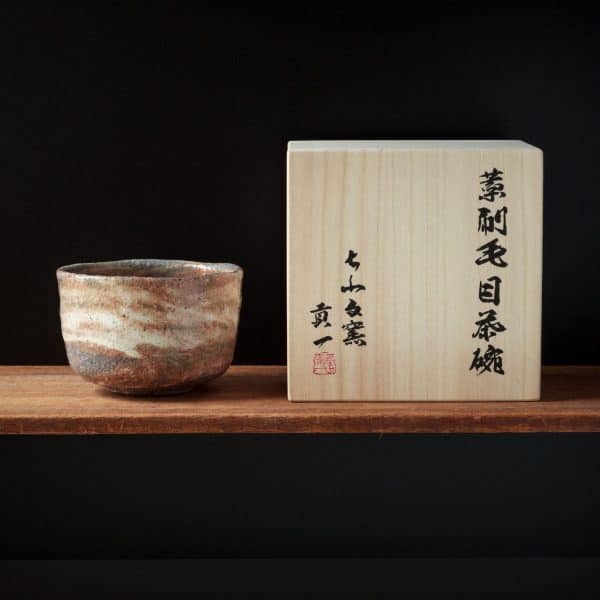 Masters of the tea ceremony with a love of elegance and refined taste admire this colour variation, as the bowl evolves to develop a unique ‘flavour’ on the surface that reflects the user of the tea bowl. These beautiful tea bowls are collectors items and come with a ‘Kiri’ wooden box inscribed with calligraphy and the maker’s stamp. They also includes a traditional ‘Ukon Nuno’ cloth to wrap and protect the bowl, and are sealed with a ‘Sanada Himo’ braided ribbon.